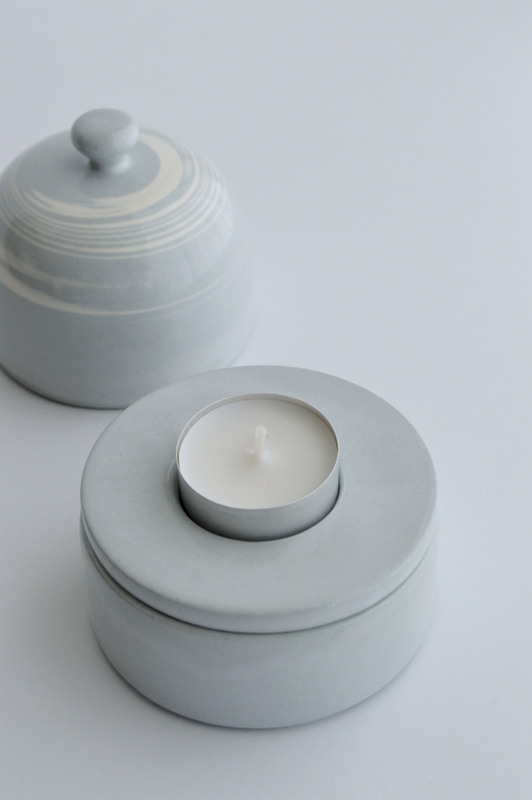 Prompted to create a lidded vessel using wheel-throwing techniques, I designed a three-part candleholder. 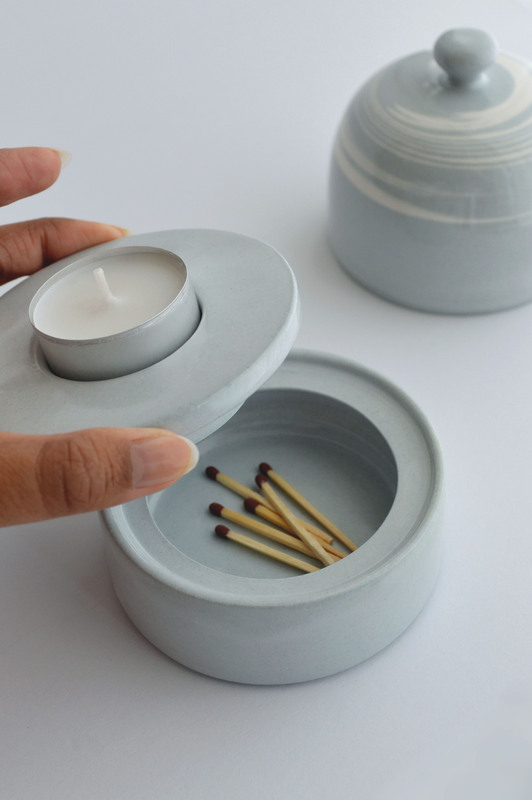 The bottom section of the container serves as storage for matches or lighters. The middle component fits snugly over the first with a recessed area in the center to house a tea light candle. 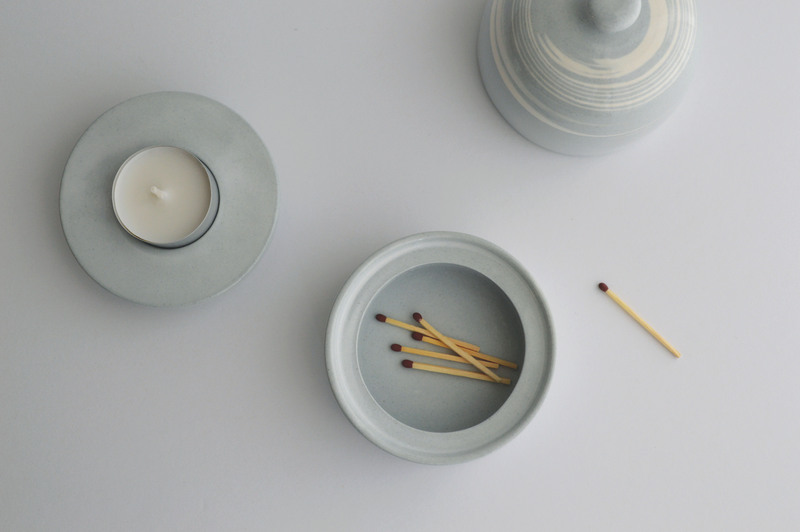 It is complete with a dome lid to snuff the flame of the candle and contain the object's contents until the candle is ready to be used again. 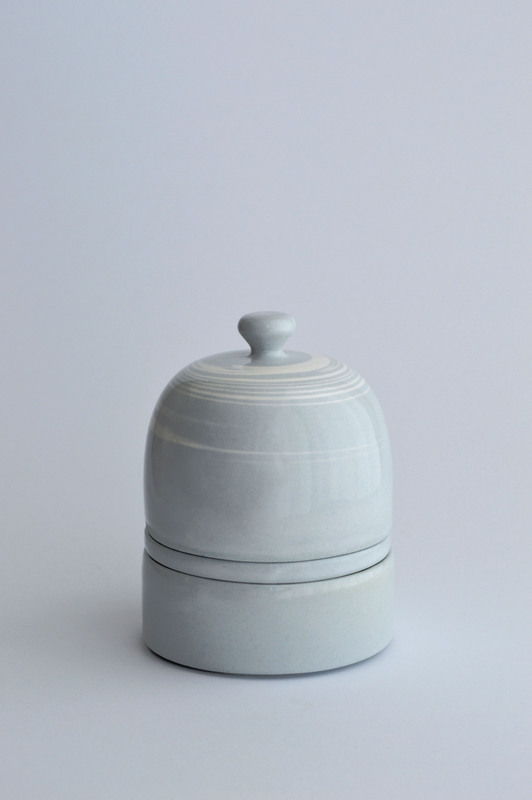 Pigments were hand-mixed into the clay body to create a custom colour. 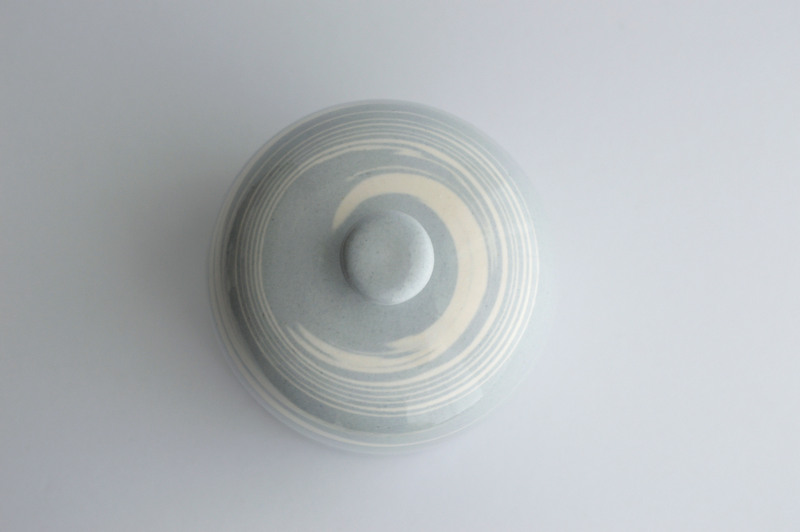 A combination of white clay as well as the blue grey stained clay were marbled to create the unique swirling pattern on the top of the vessel.